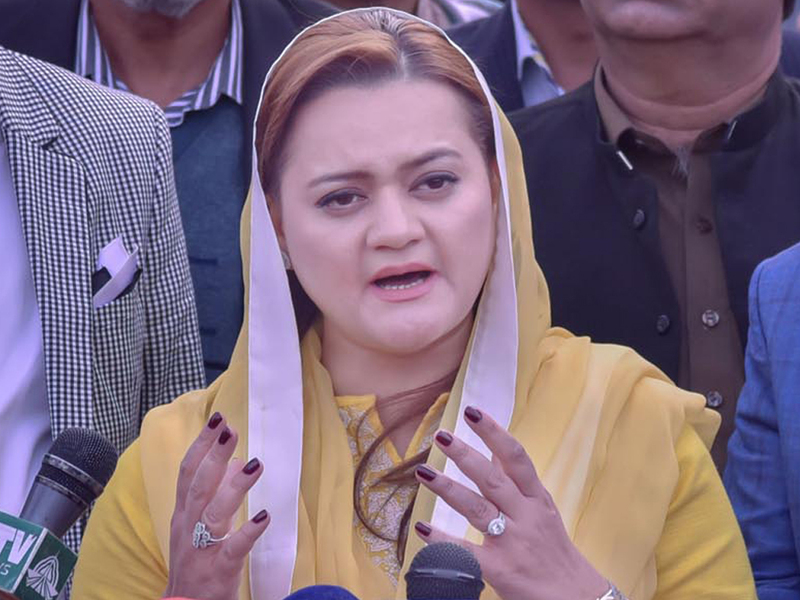 Pakistan Muslim League-Nawaz (PML-N) spokeswoman Marriyum Aurangzeb said on Monday that Prime Minister Imran Khan could not fool the masses through false rhetoric of an NRO (National Reconciliation Ordinance). The statement by the PML-N spokeswoman came in response to the prime minister’s assertion that no blackmailing would work and nor would anyone be given an NRO. In her response, Marriyum said the prime minister made futile efforts to blackmail the opposition in order to hide his incompetence. “Imran Khan should tell the nation that you have given an NRO to Aleema Khan and Jahangir Tareen,” she said in her statement. The PML-N spokeswoman said Khan was doing politics in the name of Nawaz Sharif and Shehbaz Sharif for the past five years and the prime minister was still scared of them. “The opposition is uniting against Imran Khan’s incompetence and the anti-people mindset,” Marriyum said.